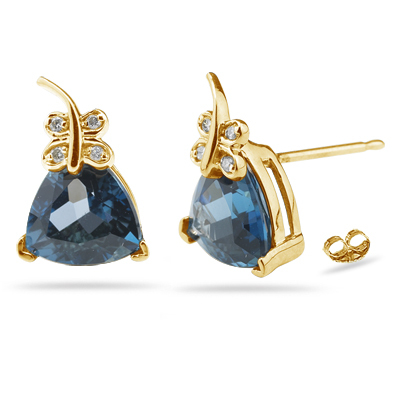 0.08 Ct Diamond & 4.80 Ct London Blue Topaz Earrings - 14K Yellow Gold . These radiating London Blue Topaz Earrings showcase a fascinating trillion-cut London Blue Topaz, accented with four splendid Diamonds each prong set in 14K Yellow Gold. 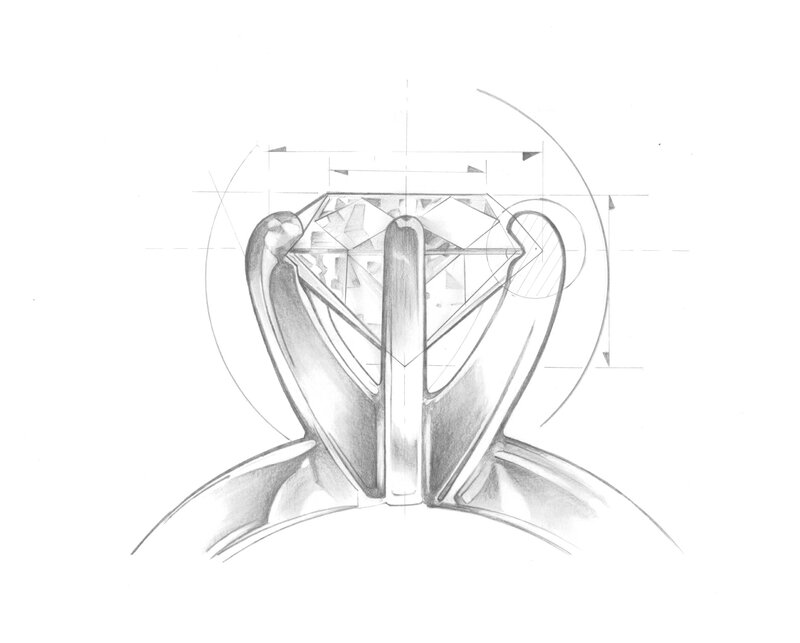 Approximate Diamond Weight: 0.08 Carats. Approximate Gemstone Weight: 4.80 Carats. Add a twinkle to your look with these stylish earrings.